I was simultaneously excited and worried; we Malaysians are rabid, ummm… overly passionate about how Malaysian food should taste. Throw in the regional adaptations and personal preferences, you just need to sit back and watch the furrowed brows and critics come out. The menu at Hawker is Penang- and KL-based; therefore some of these were different from what I grew up with in Sibu and Kuching. I am such a fan of popiah, that when I visit home, I eat these for breakfast as often as I can. So, this was the menu item I was most excited, and unfortunately most disappointed about. 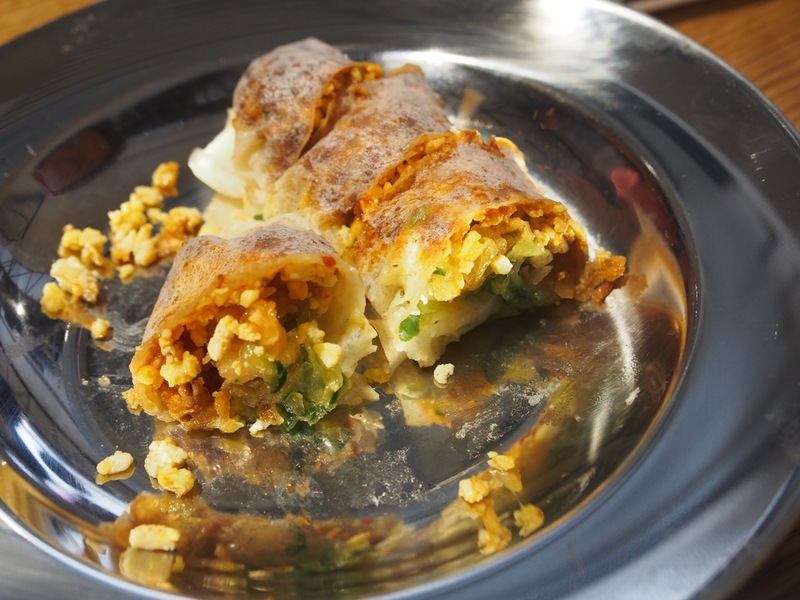 A really good Sarawak popiah is an explosion of textures and taste, crunchy lettuce, sautéed sweet jicama, sweet bean sauce, and peanuts. It holds together tightly. Hawker’s version uses mainly egg as a filling, and falls apart when you pick it up. The taste is, well, disappointing. Though I give them top points for the homemade popiah skin. 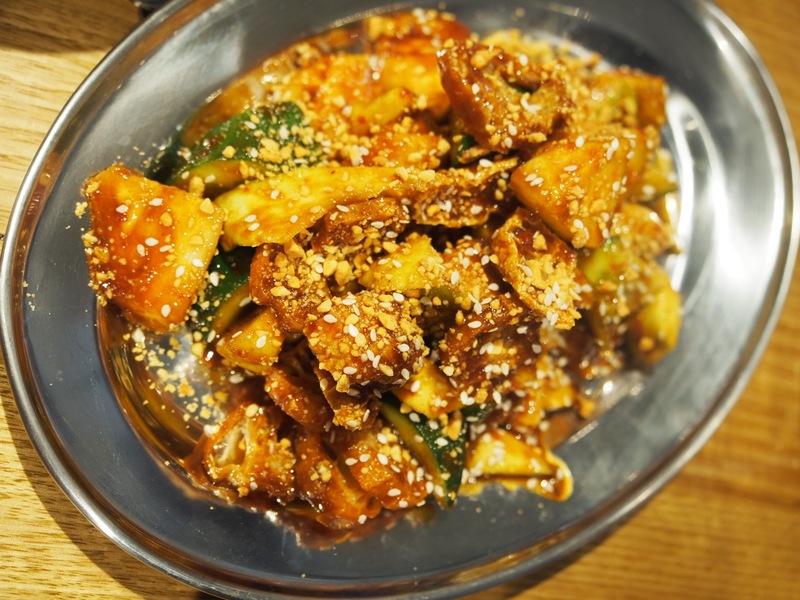 The Penang rojak should be mainly yambean, but I could barely find these. There were mostly cucumber, apple (strange) and pineapple. The rojak paste tasted as it should. 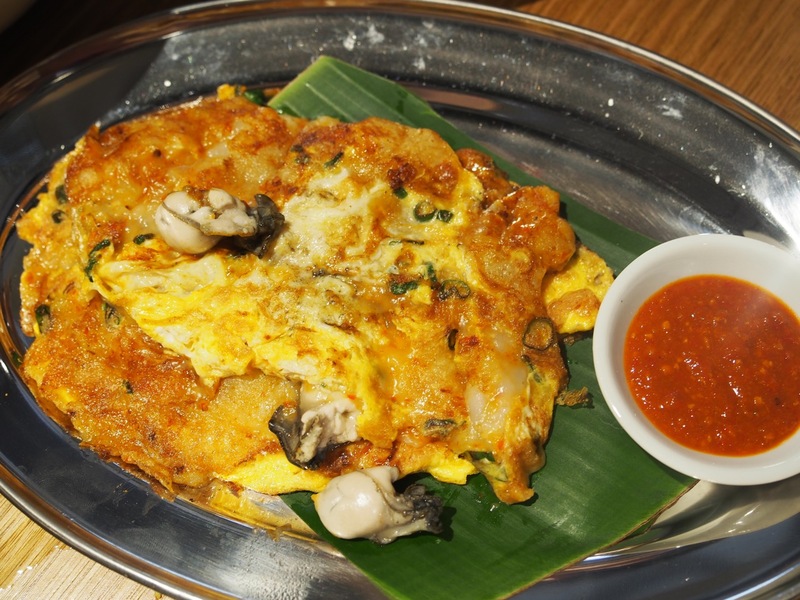 Or chien ($16) is oyster omelette, too goo-ey for my taste. The or chien I am familiar with is less starchy, and more crispy. There were 4 small oysters added at the end of cooking, rather than incorporated into the omelette. 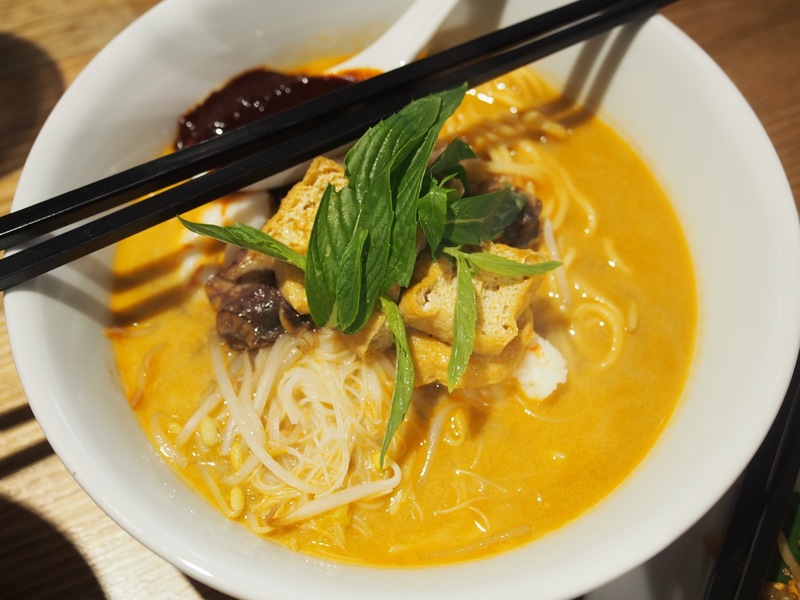 The Penang white curry laksa ($14) comes with sambal on the side; you’ll have to mix this through the soup otherwise it is rather bland. 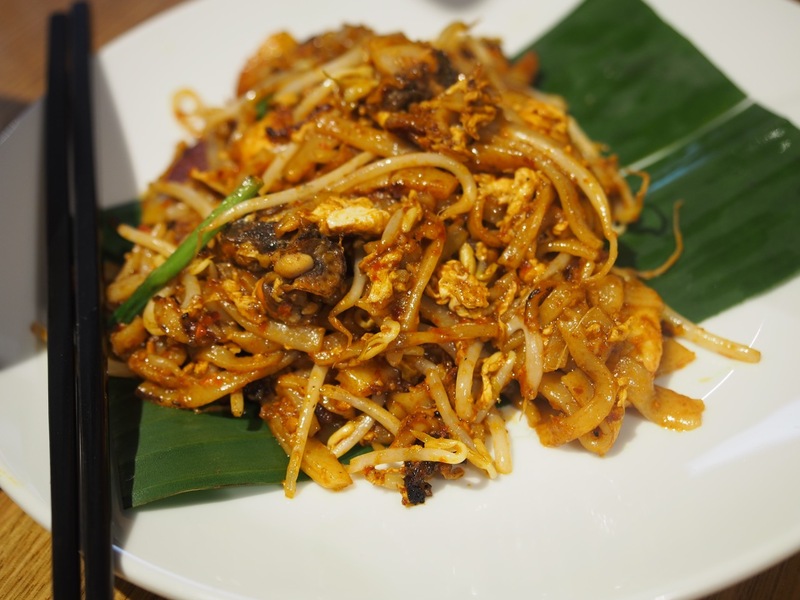 The char koay teow ($14) is as close to home as you can get. Sure, the char (smokiness) is never as good as home, but this version comes with cockles and lap cheong (chinese sausage), nice sambal kick, and a good balance of sprouts to noodles. I cannot understand the West Malaysian propensity for thin noodles. 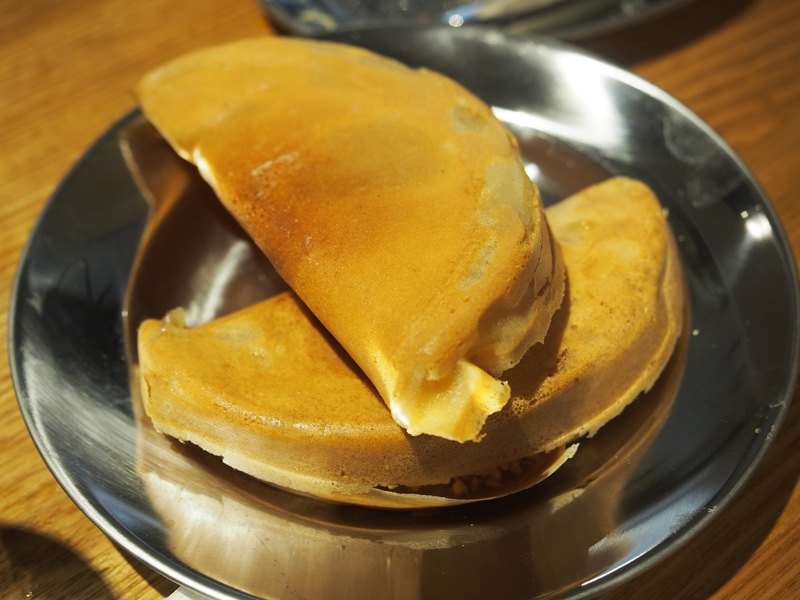 The apam balik (Malaysian crispy pancake) is another childhood favourite. 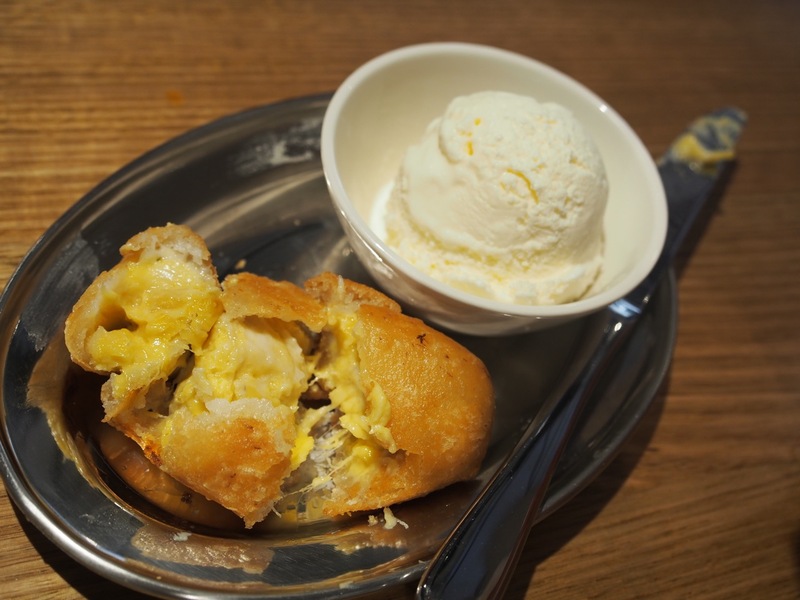 I liked these little crispy pockets smeared with butter and filled with sprinklings of sugar, peanuts and creamed corn. BL felt they were too stingy with the filling. We all liked the goreng durian. Musang King is one of the best durian varieties, and no wonder. 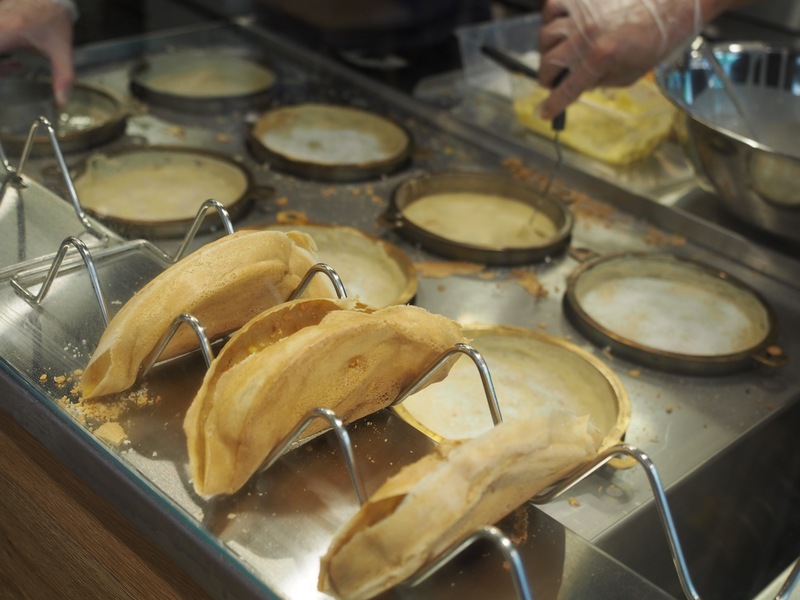 It’s rich, creamy, fragrant. And expensive at $8 for one fritter. 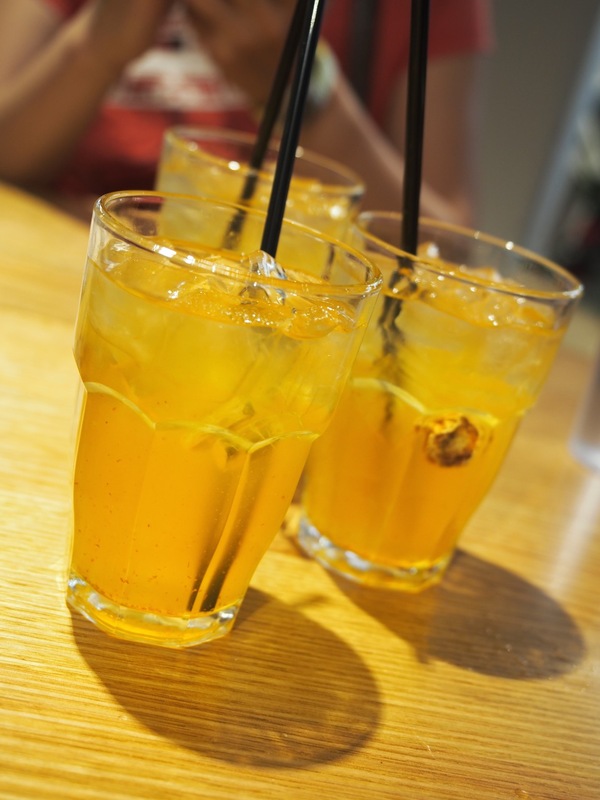 We had the kat chai suen mui (lime and sour plum drink). It’s refreshing complement to the meal. The servings are small at Hawker, and I felt that they were stingier with ingredients compared to Mamak. Like Mamak, Hawker does not take bookings, though the tables are turned quickly. 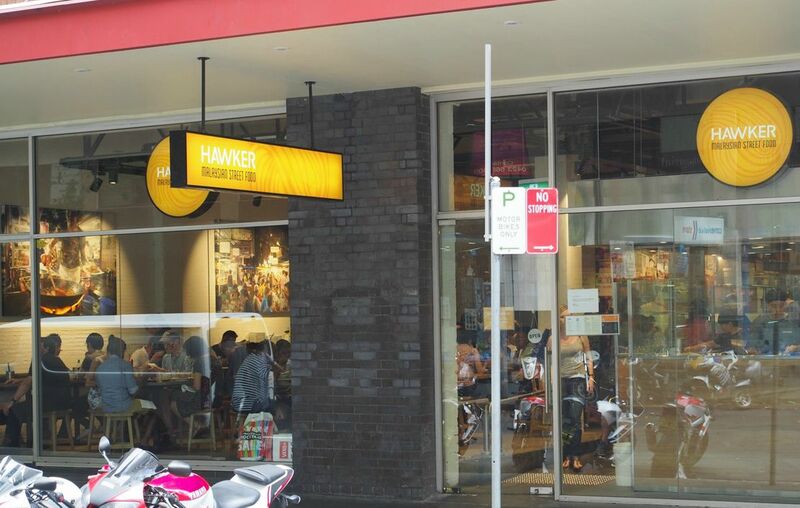 Hawker serves up some of the more esoteric Malaysian foods that are hard to find in Sydney, even among the yes, nearly 150 Malaysian restaurants. But it’s a bit of a hit and miss for me.